This was the 45th IFBB Men’s Amateur World Championships and was held in Katowice, Poland. In this Highlights DVD showcasing the main winners and placegetters, a young Ronnie Coleman wins his first major title. Seven years later he was Mr. Olympia. This was the 45th IFBB Men’s Amateur World Championships and was held in Katowice, Poland. 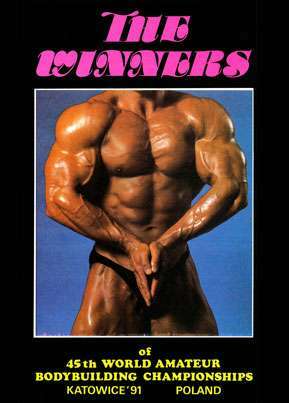 In this Highlights DVD showcasing the main winners and placegetters, a young Ronnie Coleman won his first major title. Seven years later he was Mr. Olympia. You also get to see the Team Posing, won by USA with Egypt second and Poland third.